You see it when parents come in to pick up their children at the end of the day. Their noses are buried in their phones. They’re wrapping up work, checking email, sending text messages about what to pick up for dinner and liking their friends’ updates. Parent communication has changed A LOT over the last few years. They want information, and they want it now. It’s not only important to communicate with your families effectively, it’s essential. That is why Procare is so pleased to welcome KidReports to the family. Now Procare Cloud customers have access to KidReports, the leading digital parent engagement and classroom management tool. So, if you were hoping to have “an app for that,” this partnership is for you. KidReports offers the leading parent engagement software solution available for early childhood education providers. How many times have you heard this from a mom or dad? Pieces of paper get lost. Emails get buried in the inbox. That’s why KidReports offers parents more! Mom or dad can choose to get email, text messages or use the free parent app (available for both iPhone and Android). Today’s millennial parent is used to having options, which is what KidReports gives them. Create lesson plans and more! Directors can access all their information in seconds. Now your staff can spend more time with the kids instead of a clipboard. And here comes the best part. Procare Cloud customers receive special pricing! Along with a FREE TRIAL with access to KidReports LITE, the exclusive version available only to Procare Cloud customers. KidReports Lite lets you tap into the power of digital communication, at a low monthly cost. 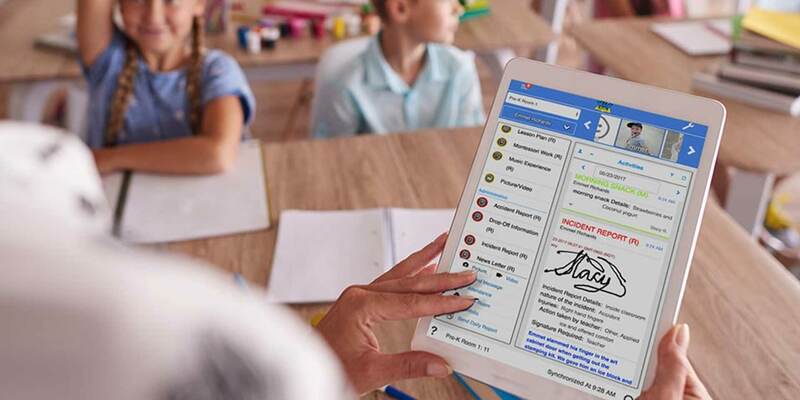 When you’re ready to take your classrooms fully digital, upgrading to KidReports is quick and simple. Learning more is just a click away. If you’re interested in taking parent communication to the next level, both Procare and KidReports are here to help! Discover the power of Procare + KidReports. Josh was absolutely wonderful! Quick reaction and diligent. He called as soon as he received the request and was able to fix our problems.